and a tutorial on the Digital 411 blog: Making the best of a blurry photo, has some ideas for editing photos. Daddy’s little girl!! My sister took these photos. This week I’m also taking my computer in for a “tune-up” and not sure how long that will take. 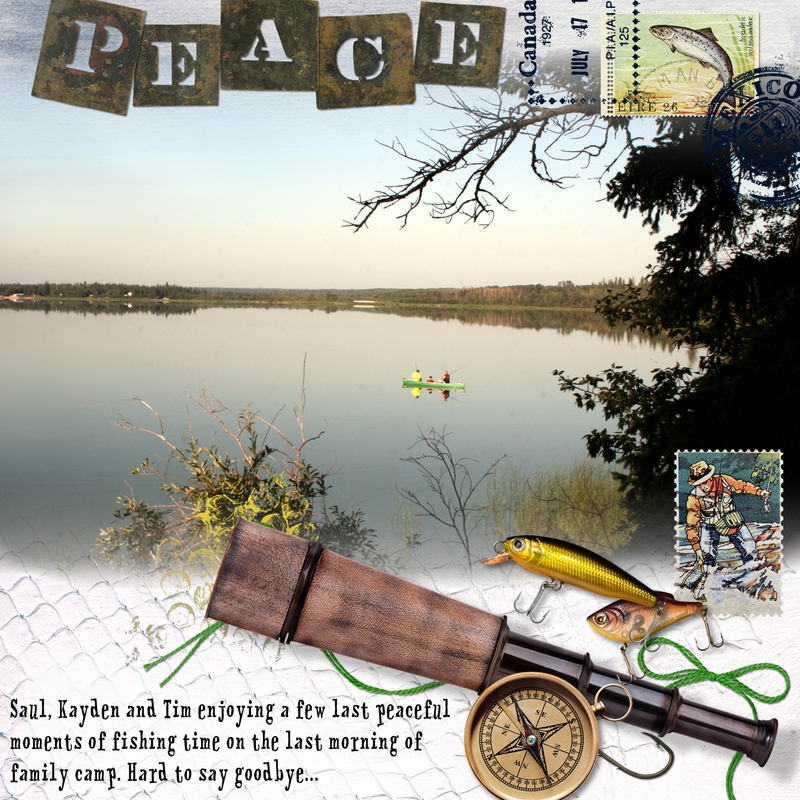 Today I wanted to share some “gone fishing” pages that I have been working on, from our time out at Moose Lake. 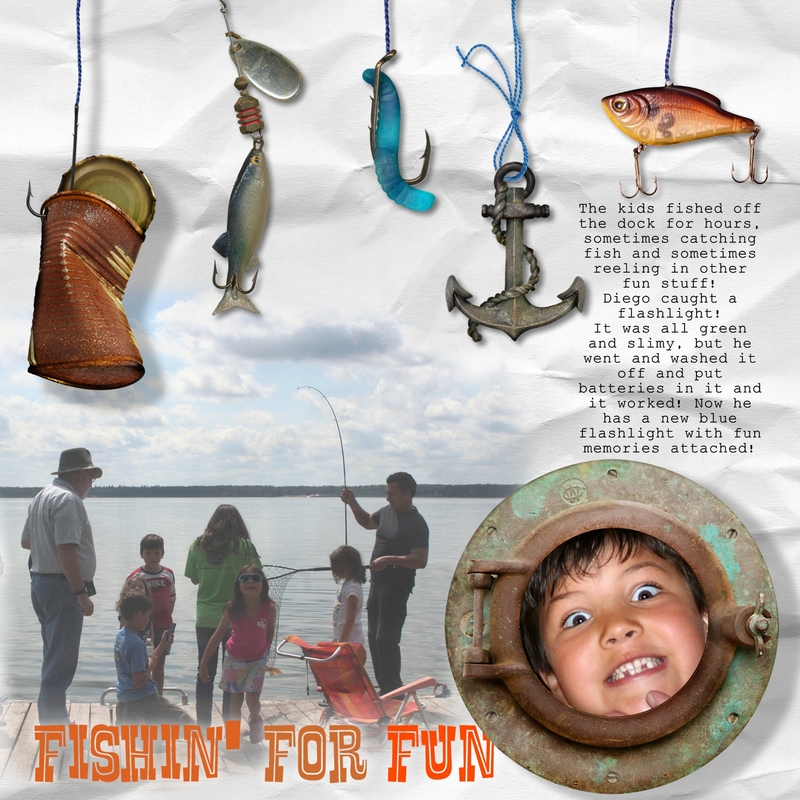 These pages were made with the fun digital kit Let’s Go Fishing by Paula Kesselring. I just love the fun papers and the paper fish (and all the other crazy elements!) I just had to get it to scrap some of our camp photos. 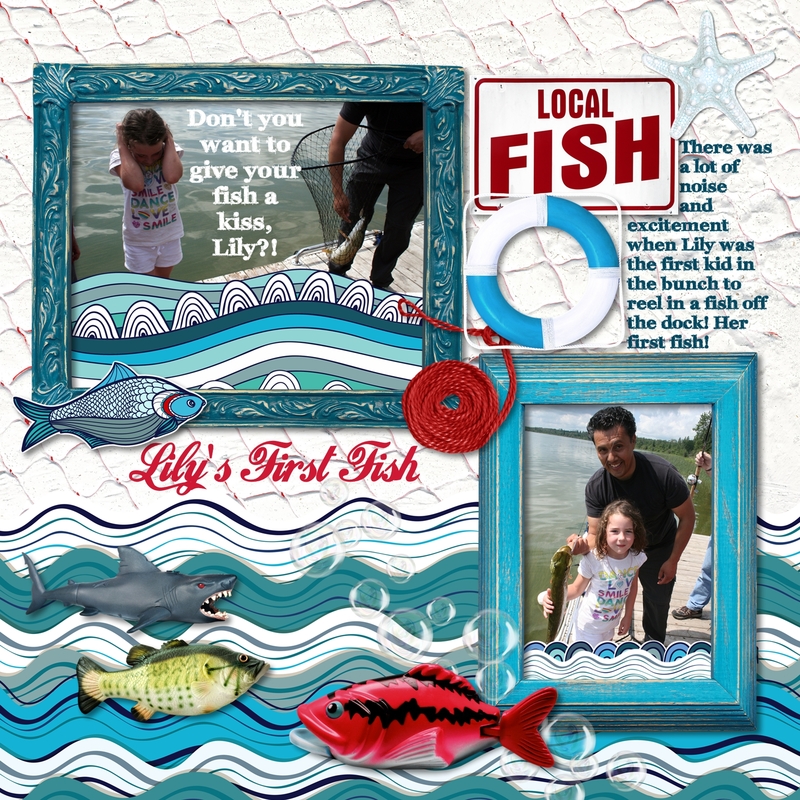 Just thought I’d share a super-cute digital kit that I found that will be fun for scrappin’ those campy, smore-chomping summer moments….or even just any cute photos of little kids and their sweetness. I don’t quite get the whole “Christmas in July” thing. I’ve been seeing it everywhere. I guess it’s great for those people who can think that far ahead and have space to keep all their early Christmas preparations….I just can’t. I’m afraid that I just took my Christmas tree down in May, so I’m really not feeling like thinking about Christmas!! But I did just happen to find a draft of a post I did in December, but never posted. 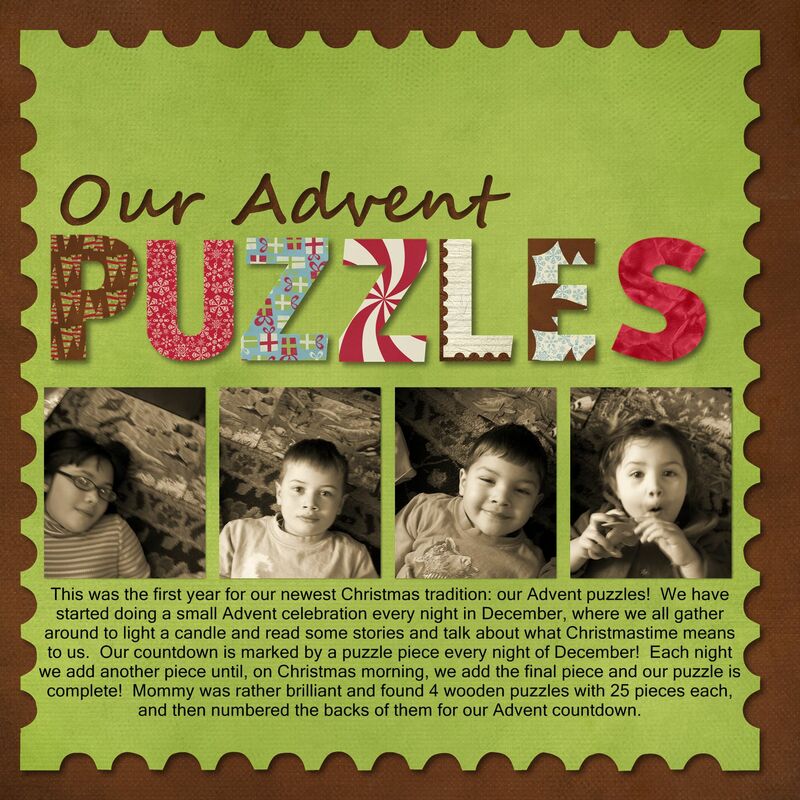 So in the spirit of Christmas in July, here is something we made up to do at our house, to use in our Advent countdown to Christmas…it has been fun, and we have been doing it enough years that each child has made each puzzle! A special day to celebrate a super special couple…my parents!! This is their 41st wedding anniversary, and as so often happens, they will be spending it out at summer camp!!! 🙂 Not planned to be this way, that’s just the way it goes! This year we will be together out at camp…Happy Anniversary Dad and Mom!! Many many more! (oh, and thanks for waiting years and years before you had me 🙂 ! The challenge: write out a summer “bucket list” of things you are going to do, or things that you dream of doing this summer. 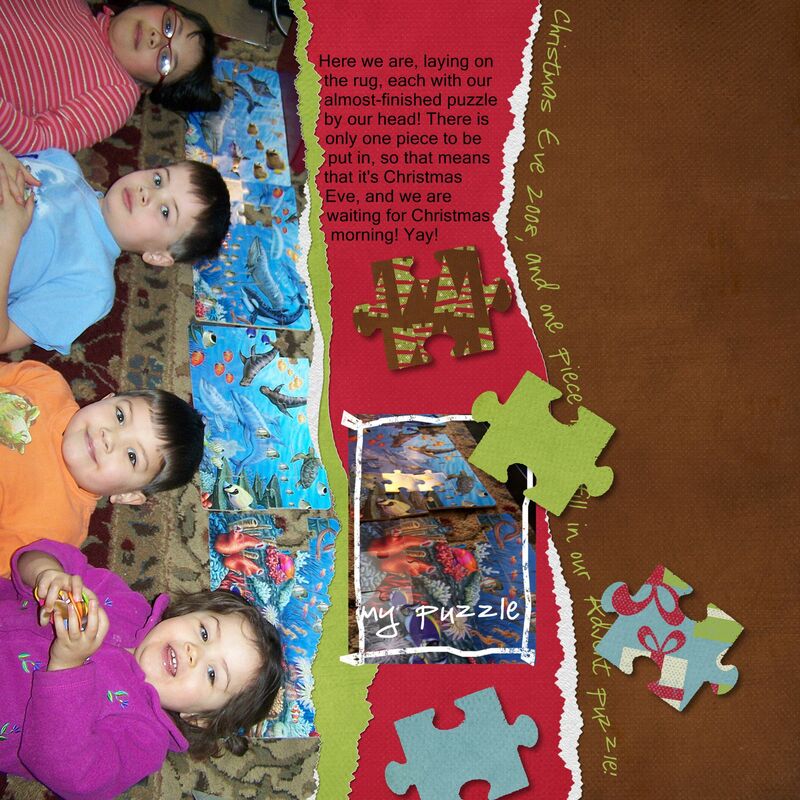 This was posted on My Scrapbook Art, from Home Is Where the Art Is newsletter designer’s challenge. 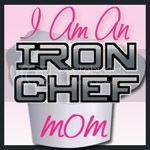 You can get the free “Juicy” digital kit if you are subscribed to the newsletter…and I must say, their free kits are always totally worth it!! So if you want to do the Designer’s Challenge, you make up a digital layout using the free kit and post it to their gallery here. I always have a bunch of things that I want to do in the summer….always hoping that I will get to do them all!! But realistically I know that we can only do so much each summer! So first I wrote out a Will Do list, to focus on the positive=the things that I know I will do. Then I did add in my wishlist….like, every summer I really really want to go berry picking, but it just hasn’t happened for many summers!! But I still dream about it! This page has 2 short lists, as I was trying to get loads of laundry done today to get us ready for summer camp. So far we are not close to being ready and our surprisingly hot weather sure has slowed things down for our packing!! 🙂 I’ve been thinking that I WILL NOT COMPLAIN about the cold weather this fall and winter. I’ve decided I’m a cold-weather gal. Just can’t function in really hot weather. I was spoiled by growing up living in the “Land of Eternal Spring” with lovely perfect weather almost all year round…..Guatemala 🙂 not too hot, not too cold, not too too rainy or dry……! 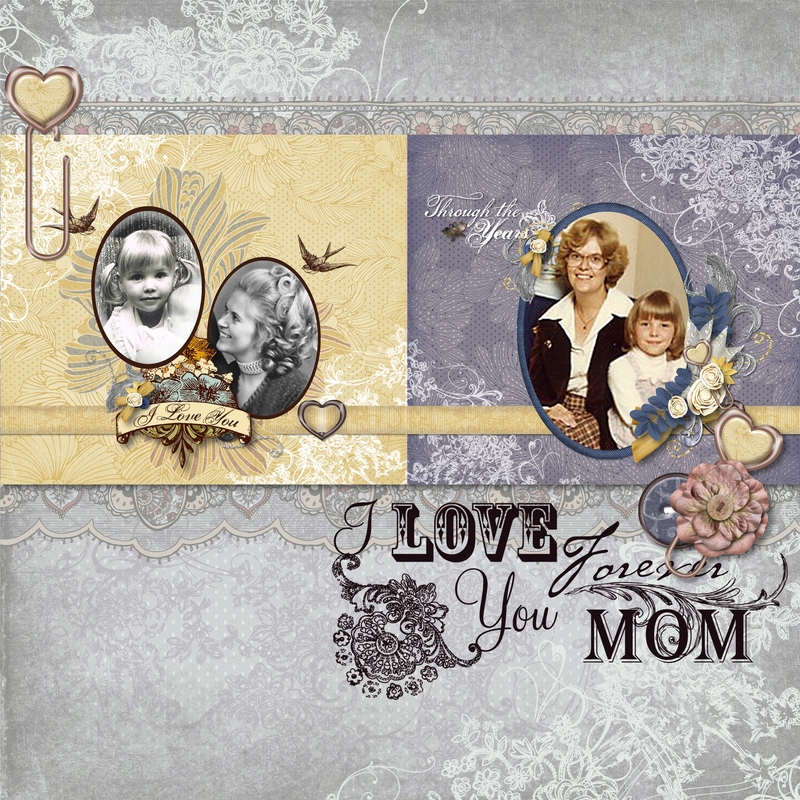 What a lovely day…Mother’s Day! 🙂 But I’m afraid that I was so busy letting my kids spoil me today, that I didn’t email my own Mom! 😦 Sorry Mom! She is far far away, on a fun trip enjoying herself…it’s not like she’s home alone, sitting by the phone waiting for me to call…but I still feel sad for not talking to her today! I hope that, being a Mom herself, she understands how crazy things can get. I was so pleased to see that my kids actually were making an effort to pamper me…like serving me scrambled eggs and toast in bed…I just had to soak it in! Then there was the moment when I had to jump in and help find socks, iron clothes, pack a picnic, make supper, clean up, etc, etc. and suddenly the day was gone and I was exhausted. Thanks, Mom, thank you for everything! I love you!